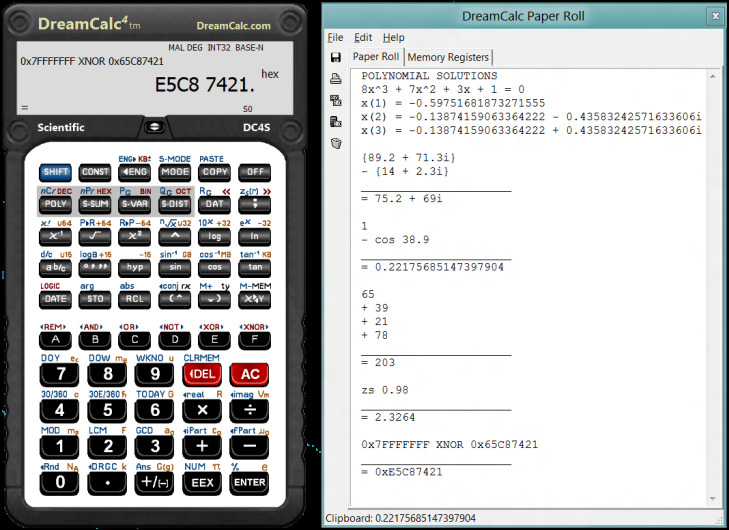 DreamCalc is a fully featured replacement Scientific Calculator for Windows. 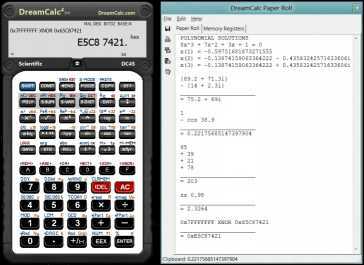 Unlike the standard Windows calculator DreamCalc gives you an intuitive and almost tactile experience. Its like using a real hand-held on your PC laptop or tablet computer! DreamCalc offers a full range of scientific functions statistics complex numbers base-n logic unit conversions built-in constants and a powerful polynomial solver. Select from Reverse Polish Notation or two styles of algebraic input and with the optional ability to run in your Windows system tray--DreamCalc will always be there whenever you reach for a calculator. DreamCalc is a must have for business science engineering and education.New! It is now possible to register DreamCalc using Bitcoin.